We see lists made time and time again of top 10 recruitment bloggers, top 10 recruitment tweeters and the like being flogged across the internet, however many of these lists are often made out of the opinion of their creators. We decided to look back at our surveys over the year and find our top 10 practitioner speakers. So as voted by you, our wonderful delegates, here is the top 10 practitioner speakers. We couldn’t agree more, and our list comes from our delegates rating each speaker on their content and delivery respectively. Also taking into account, whether they’ve spoken before, we believe this to be the most comprehensive data fuelled list of speakers you’ll ever get. So if you’re ever invited to another Talent Leaders Connect, rest easy if you see one of these speakers on the agenda, you’ll be in for a treat. The 'Carry on Regardless' Award goes to... Johnny Campbell, Social Talent for when the AV broke down and he continued it, completing his whole presentation without it at #TLCon: June London 2015. The 'Where Are you Going With This?' Award goes to...Henry Davies, 106 Communications where he spent the first 5 minutes talking about the methods he uses to remember his wedding anniversary at #TLCon: Amsterdam 2015. The 'Did he Just Say That? ; Award goes to.... Rene Bolier, OnRecruit who at #TLCon: Amsterdam 2015 used the word 'cockblocker' in his presentation - and stopped to clarify everyone knew what it meant. The 'Best Photo Pose' Award goes to.... Steve Jacobs, Mcdonalds for his impression of 'The Rock's' eyebrow at our #TLCon October London 2015. 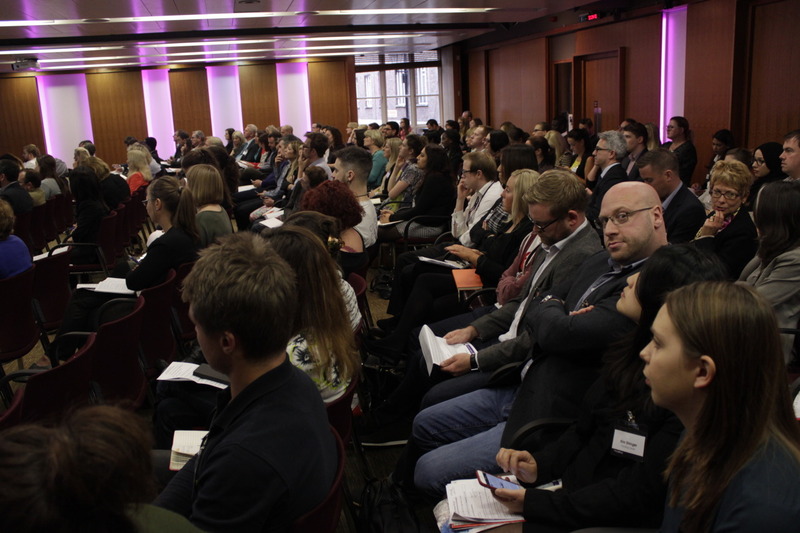 The 'Most Video Watched' Award goes to.... Matt Buckland, Lyst for his presentation at #TLCon: February London 2015. If you haven't seen it yet, take a moment and watch his talk on 'What Startups can Teach Us About How to Hire the Best'. We're also really proud that delegates, sponsors and speakers alike all engaged with the events over social media. Thank you because without you, we would not have been able to trend on twitter, TWICE! Sorry Gooners, but as a Spurs fan, our CEO was extremely chuffed that we beat the Arsenal. We promised you an announcement, so here it is; You can now register for our events in 2016!!! We’re back, We hope it’s better, and only you can help us do that. You can register for our 2016 'Kick off' event in February here. Cheers from the Talent Leaders Connect Team! Thank you for an amazing 2015 and we look forward to seeing you in 2016.